The new RAM 1500 has been fully redesigned, bringing a dynamic new exterior look to the full-size pickup truck segment–including the new black RAM 1500. And if you’re looking to go for an all black RAM 1500 look, you also have the option of 20-inch black painted aluminum wheels on the Big Horn and Tradesman trim levels. Explore the sleek exterior of the new black RAM 1500 today near Salem at Wilsonville Jeep Ram in Wilsonville, where you can schedule a test drive today! Lease a New Black RAM 1500 Near Lake Oswego Today! Check out the rugged performance specs and features on the all-new RAM 1500 today, as well as class-exclusive features like the RamBox® Cargo Management System and Class-Exclusive Active-Level™ Four Corner Air Suspension. 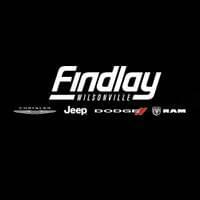 Wilsonville Jeep Ram has all your truck needs covered near Tualatin, including professional RAM service and RAM OEM parts. Our doors are open seven days a week, and you can contact us at (503) 498-6637 with any questions.